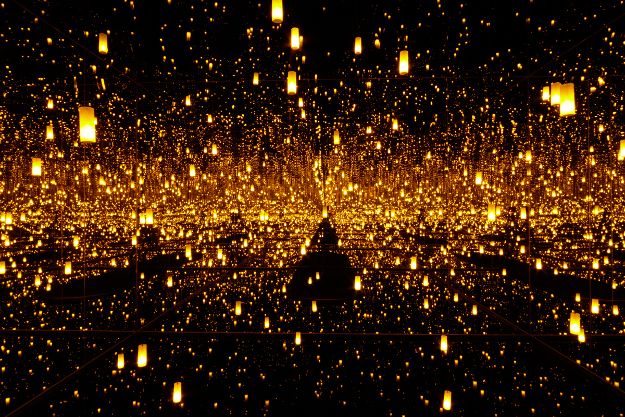 Kusama – Infinity is out in limited release. 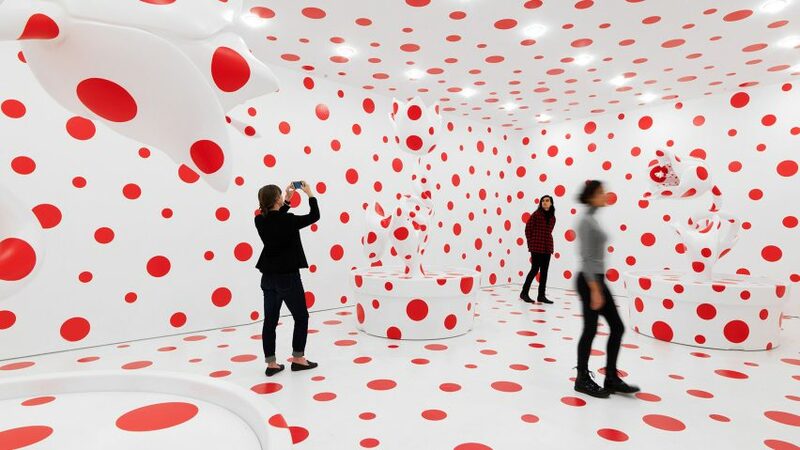 More years ago than I care to count, when I was very young, a friend invited me to visit Yayoi Kusama’s studio/workspace in New York. 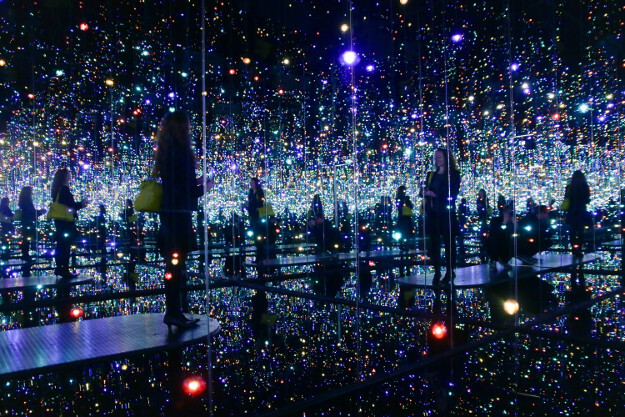 I’ve forgotten most of the details—who I was with, why we were there—but I do remember a few things. I think there were 20 or 30 people present that night. 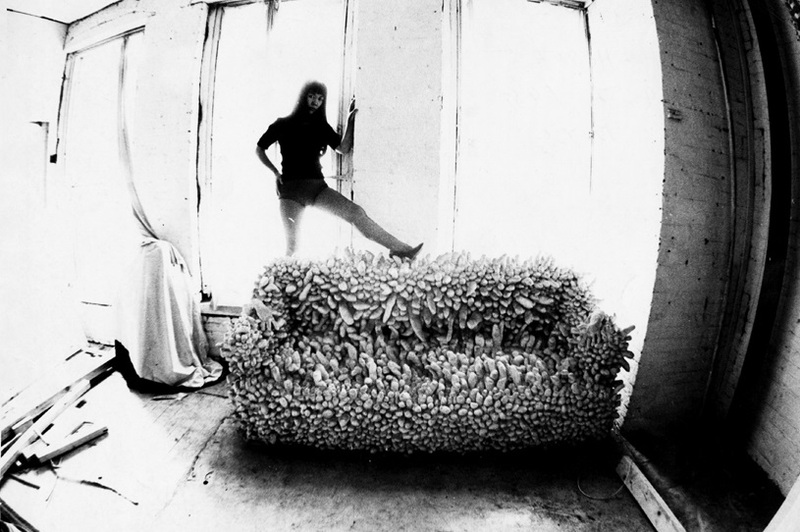 It wasn’t exactly a performance, or an installation, or a party, but it had elements of all three. Strange mix of people. 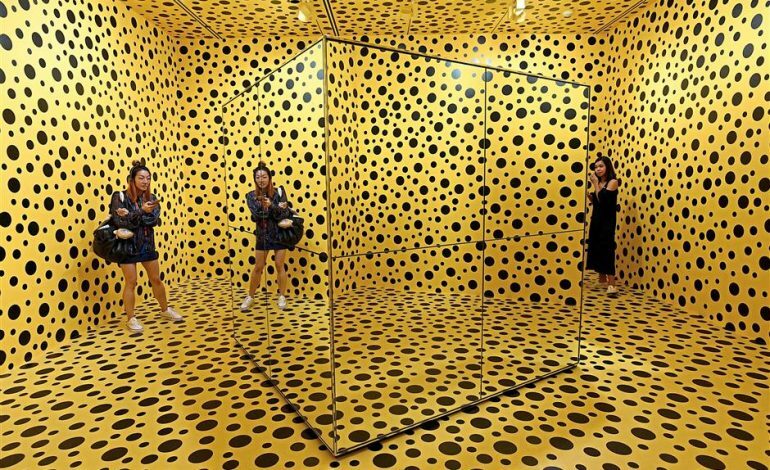 Art scene types, guys in suits, street kids—a classic Bohemian amalgam. There was one older man who sat on the floor, sketching the crowd. He wore glasses, which held the sheet of paper that he was using to hide his face in place, so he couldn’t be identified. 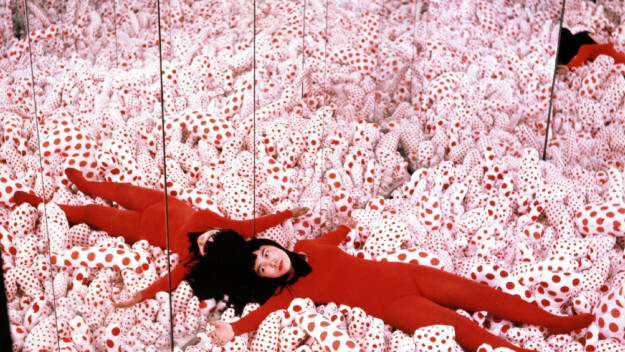 While someone filmed the scene, Kusama kept urging the younger crowd to get naked and dance around the artwork. Several did, but I, alas, was not among them. Looking back, I sort of regret that now, although not very much. While it would be nice to have a souvenir of the days when I was young and pretty, staying dressed that night doesn’t rank on my personal list of Top Ten Regretable Decisions. 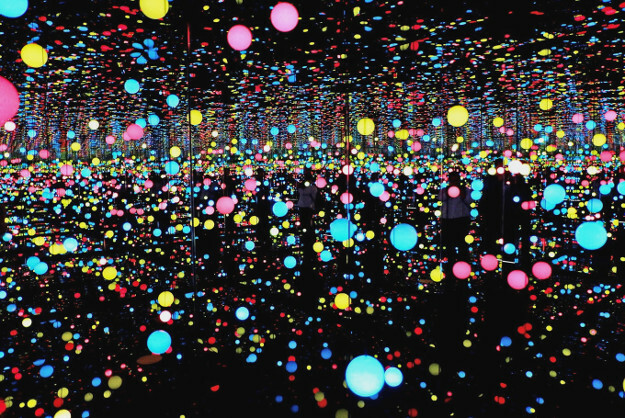 This entry was posted in Art, Coming Attractions, Design, Movies, Video and tagged Kusama - Infinity, Yayoi Kusama on 30 September 2018 by bcarter3.